This isn't an accident, and it isn't only because of the history of Irish immigration in America. Before the advent of blended Scotch whisky in the late 19th century, Irish single pot still whisky (originally called "pure pot still") was the most popular whisky in the world. (If you want the full scoop, you can read Fionnan O'Connor's complete account here.) This method of distilling was unique – the mashbill a mixture of malted and un-malted grains, and the distillate drawn, traditionally, in pot stills. (Historically, this method was invented as a tax dodge, because fighting the Man is often how great things come to be.) As the years have progressed, this culture of craft whisky in Ireland had become dormant as more popular offerings like Jameson's, Bushmill's and Tullamore Dew became the default cupfuls. These are fine whiskys that represent the single malt techniques so praised in Scotch whisky, but they have tended to obscure the single pot still past that was so characteristic of the Irish craft. During the global whisky dark ages of the 80s and 90s —the decades that brought us Zima and alcoholic lemonade — Jameson's became one of the last names standing in whisky at most watering holes. However, we now live in a world of whiskies where our cups truly do runneth over, if we are so inclined. You can drink straight-from-the-barrel bourbons from nearly every producer. You can fill your cabinets with Scotch whiskies that represent nearly every Caledonian glen. You can drink terrific whisky from Japan, Taiwan, India, and try others from all over the world. But until fairly recently, Americans were left with only a few offerings from the old Irish whisky tradition. But that has all changed––the single pot still producers and (those who have been influenced by them) are back and the Irish Whisky renaissance is in full swing. If you'd like to see what all the fuss is about, take a look at a bottle near you. Teeling Distillery captures where the Irish whisky world is now. The original distillery dated back to the 18th century, but was eventually swallowed up by Jameson's and incorporated into its manufacturing. But in 2015, the distillery was re-founded by a new generation of Teeling's, and they have begun sourcing and producing extraordinary Irish whisky from their new Dublin location. These offerings from Teeling's are not "single pot still" whiskys, but rather are single malt whiskys (using only malted grains). But they are trying to recapture the old spirit of Irish whisky producers and revitalize the industry in Dublin. And they are just getting started. 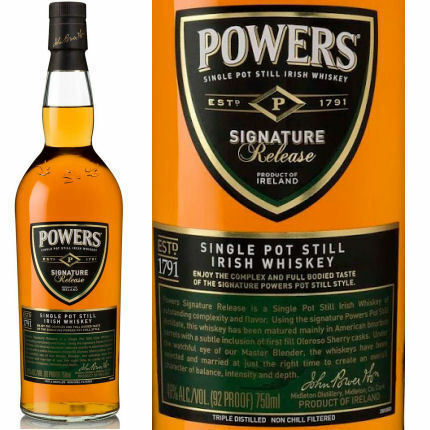 Powers whisky is, by some accounts, more popular in parts of Ireland than Jameson's, which is saying a great deal. They are not a new producer, but their heritage of crafting both single malt and single pot still styles of whisky and blending them (which is still how they make their quaffable and affordable Gold Label) has put them in an ideal position to help revive Irish whisky and contribute to its rebirth. That is why its single pot still release is such a big deal––an old distiller in continuous production is now joining others in re-creating a style of whisky that they never stopped making. The memory of craft is, sometimes, just as important as is passion. Powers truly exhibits both. Greenspot is a special whisky, even among this remarkable group. It is an exceptional introduction to what makes the single pot still style unique, and honestly is so approachable and enjoyable that it could easily serve as an ideal stand-in for whisky––of any type at all––when introducing someone to the spirit who has never tried it before. Moreover, for anyone who has never really had that "aha!" moment in developing a tasting palatte, where something still tastes like what it is but is so expressive of another kind of flavor that it turns the drinker onto the complexity of the drink, this is the whisky to try. I dare anyone to take a sniff and a mouth-coating gulp of Greenspot and not immediately become transported to sucking on a green apple flavored Blowpop or Jolley Rancher when you were a kid. It is so specific a flavor profile of apple, giving way to honey and a gentle, grassy sweetness that it can convert even the most staid of drinkers. 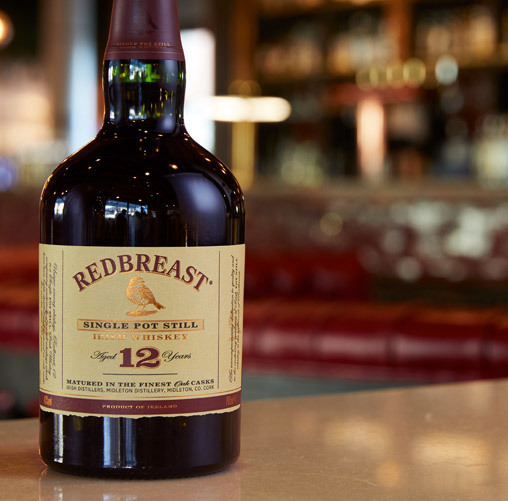 Proof that very good things can come from large, industrialized purveyors, Redbreast single pot still (most often available in the 12 year vintage, but also in older offerings) is a product of Irish Distillers who produce Jameson's. 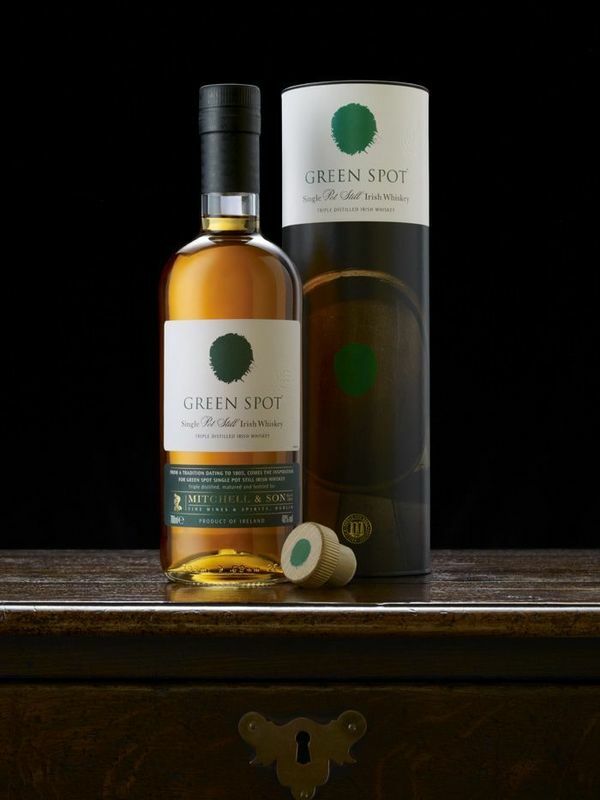 (Greenspot is also technically produced by Irish Distilleries, but theirs comes from the Midleton distillery, apart from the Jameson's distillery.) And yet, this is true to form single pot still whisky that well represents the more typically Irish form of whisky craft. 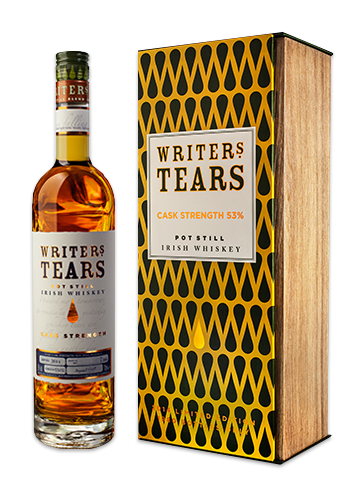 It is a wonderful sipping whisky that truly expresses the spicier, wooly-er profile of these whiskys––perfect neat, dignified over ice, and ideal in a warm bar or accompanying a chilly hike with friends. I spent a decent amount of time in Ireland. The absolute best whiskey that’s been imported into the US is Yellow Spot. About $85 per bottle but I’ve never found anything better. Have you heard of Lambay whiskey arriving in the US. Barrel aged in Bourbon Cask and finished in Cognac Casks!